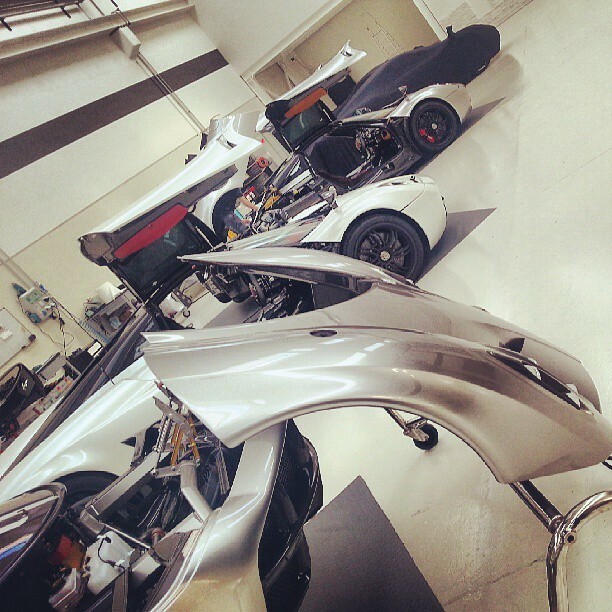 Prototype 0: New Huayra Spotted! 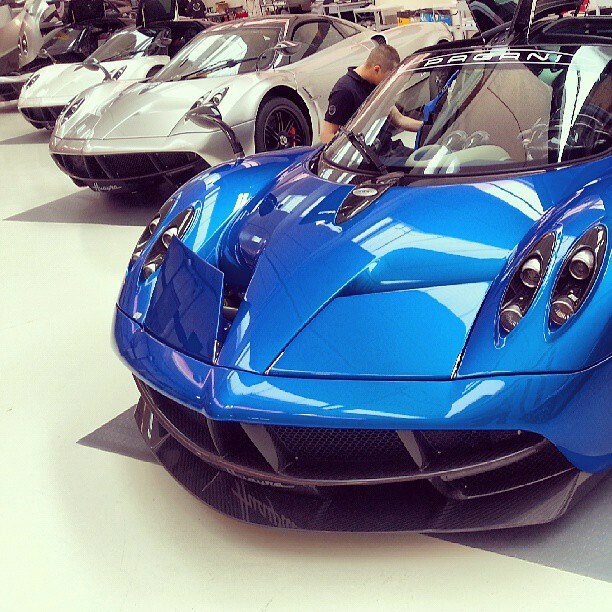 A new left hand drive Huayra has appeared on BOB Forstenr London's Twitter. The car is one of the latest unit built and it is configured in the classic two tone combination: metallic grey with carbon fiber roof, side skirts and flaps with polished magnesium wheels. The cockpit color combination, brake calipers and destination country are still unknown. 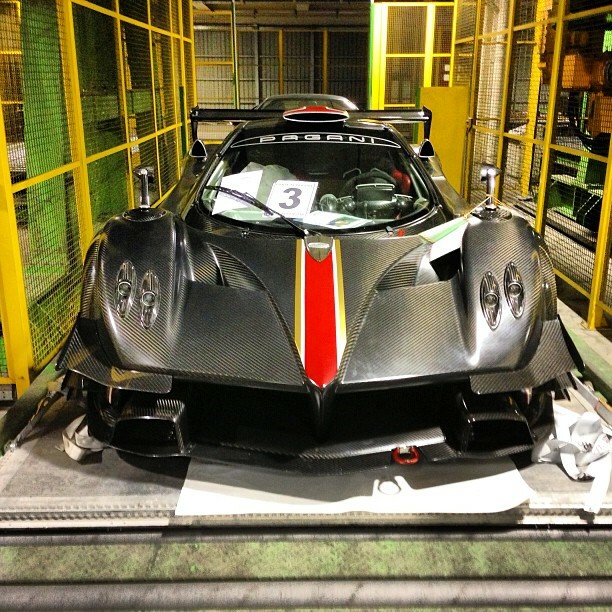 The car has been spotted in the assembly room of the new factory together with the brand new Zonda Revolucón which has been shipped in these days to the Narita International Airport in Japan.